On a dark November evening, Sir Wilfred Saxonby is travelling alone in the 5 o'clock train from Cannon Street, in a locked compartment. The train slows and stops inside a tunnel; and by the time it emerges again minutes later, Sir Wilfred has been shot dead, his heart pierced by a single bullet. Suicide seems to be the answer, even though no reason can be found. Inspector Arnold of Scotland Yard thinks again when he learns that a mysterious red light in the tunnel caused the train to slow down. Finding himself stumped by the puzzle, Arnold consults his friend Desmond Merrion, a wealthy amateur expert in criminology. To Merrion it seems that the dead man fell victim to a complex conspiracy--but the investigators are puzzled about the conspirators' motives, as well as their identities. Can there be a connection with Sir Wilfred's seemingly untroubled family life, his highly successful business, or his high-handed and unforgiving personality? And what is the significance of the wallet found on the corpse, and the bank notes that it contained? 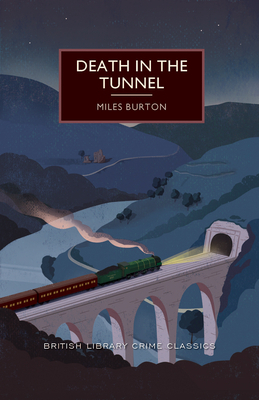 MILES BURTON was a pseudonym of Cecil Street (1884-1964), a British soldier who became a prolific novelist in the 1920s. He was the author of approximately 140 detective novels, of which the most highly regarded were published under the names Miles Burton and John Rhode.